Can life thrive around a red dwarf star? Living with a Red Dwarf program. 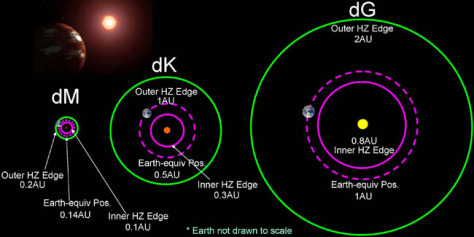 The habitable zone (HZ) around a red (dM), orange (dK) and yellow (dG) dwarf star. The dotted pink circle is orbit which would have our Earth's temperature.